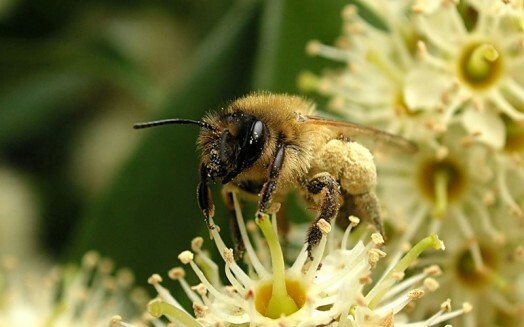 The genus Apis consists of four well defined species: 1) a giant bee, 2) dwarf bee, 3) Indian bee, 4) honeybee. 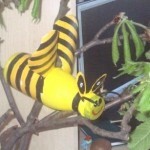 Giant bee . Common in India, Ceylon, Sumatra, Java, etc. It is the largest of the social bees. 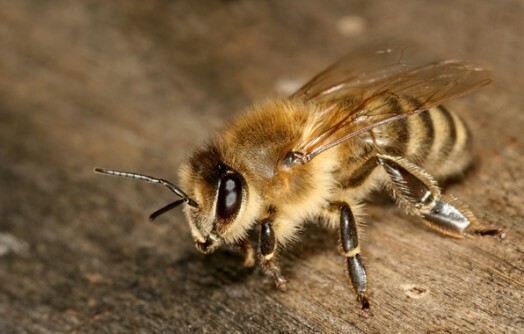 Body length of worker bees – 18 mm (0.7”), drones – 16 mm (0.62”). Queen is no different from the worker bees. Giant bee hive consists of a single cell, built outside, under the branches of the trees. 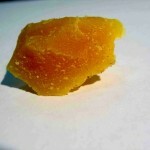 Honeycomb are built sometimes at a height of 30-40 (98-131′) and even 50-80 (164-262′) meters from the ground. Cell size is quite big – about 1 m (39.3”) in length and 70 (27.5”) cm in width. 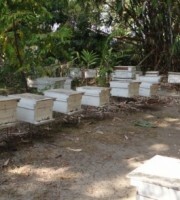 In a small space under the canopy of tropical trees dozens of combs can be built, but every cell will match the hive. In cell there are 70 thousand cells. 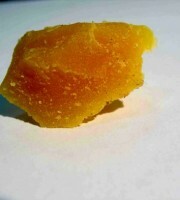 Its thickness in place of brood is 34 mm (1.3”), and of honey – up to 130 mm (5.1”). 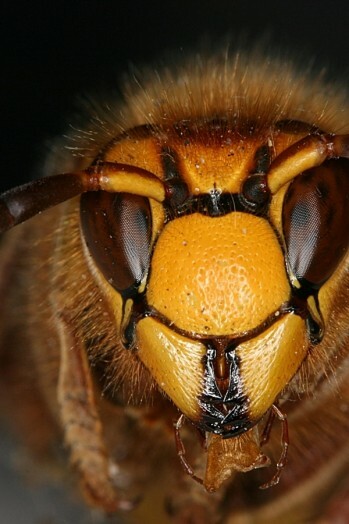 Head, thorax and abdomen end of bee have velvety dark color, the main segments of the abdomen are brownish-red. Coloring of the base of the abdomen is well contrasted with the smoky-brown wings, shimmering bluish-purple hue under the tropical sun. In 1883, Date delivered several communities of giant bees in Germany, but experiments on acclimatization failed. Because of the biological features of the hive outside and propensity to nomadize from one place to another a giant bee domestication is not possible. Bee dwarf spreads from India to the Southwest of Sumatra, Borneo and Java. 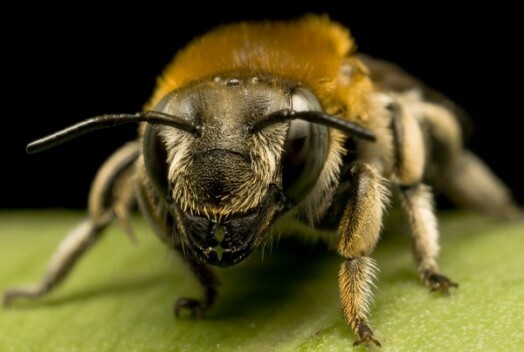 In contrast to a giant bee, bee dwarf is the smallest of all the bees belonging to the genus Apis: queen’s length is 13mm (0.5”), drone – 12 (0.47”), working bee – 7-8 mm (0.27-0.31”). 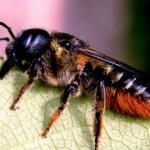 Dwarf bee builds only one cell under the branches of trees, outdoors. Cell dimensions (at Frieze) are 26cm (10.2”) in length and 20 cm (7.8”) in width, in a cell there are 1400 honey cells, 4000 bee, 300 drones and several queen cells. The cells are of three types – workers, drones and queen cells. Due to the small size of combs and having hives outside the dwarf bee has little practical value. 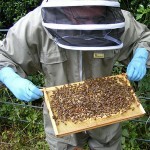 Hives are hunted by local community. Indian bee . It has a very wide range: inhabits India, the Malay Archipelago islands, Pacific Islands (south of the equator), in China, the Japanese islands, Russia. 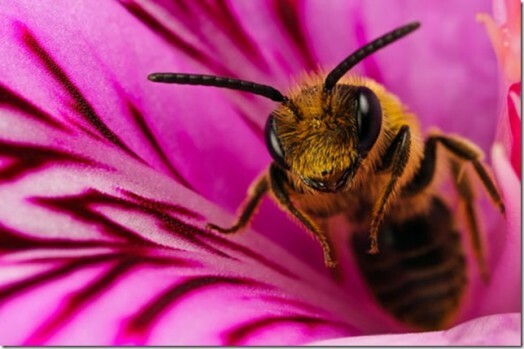 Indian bee biology is close to honeybees. It builds in the hollows of trees several vertical parallel combs with cells of three species – the workers, drone and queen cells. Honeycombs have excellent white seal. 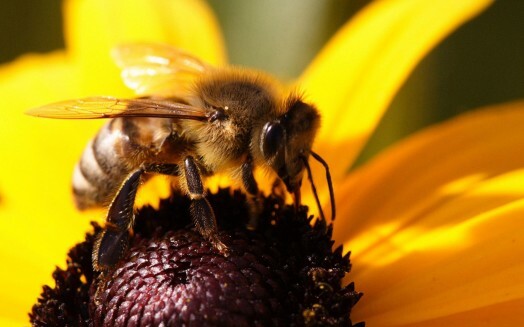 Just as the honeybee, it is well expressed by the difference between the queen, worker bees and drones. 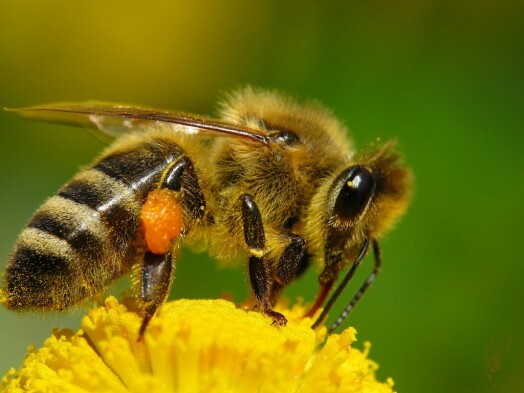 For a number of important features in the structure of hive and behavior it differs from the honeybee. 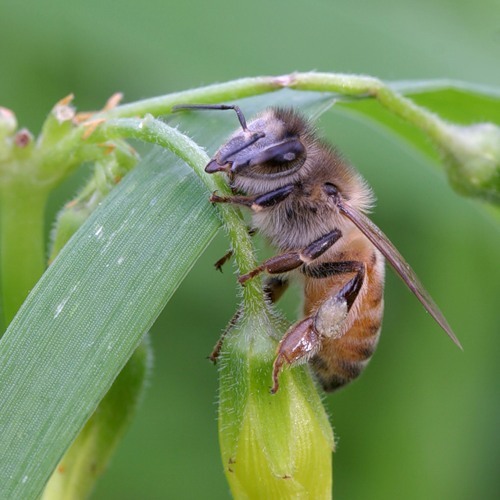 All three stasis of Indian bees – queen, drones and worker bees – in body size are smaller than the corresponding species of honeybee. 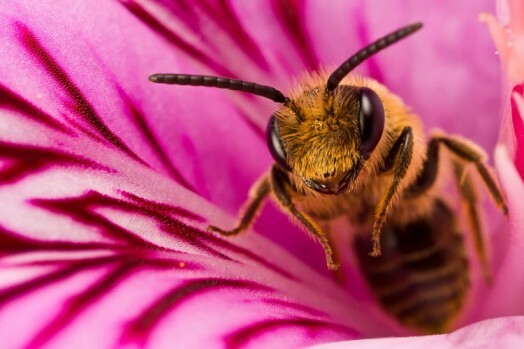 The cells in the honeycomb of Indian bee (bee, drone, queen cells) are smaller than cells of honeybee. 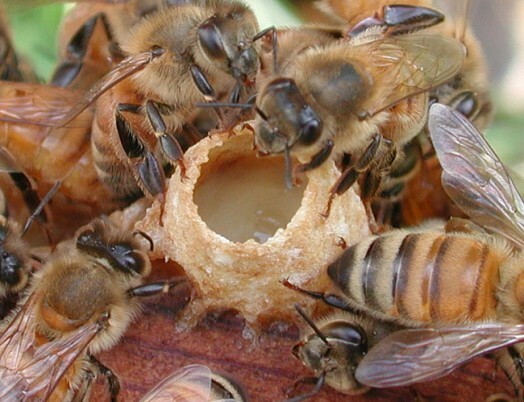 The diameter of the circle described about the Indian bee drone cells, approximately equal to the diameter of the working cell in the honeycomb of honeybee. 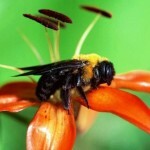 Expeditions of wild Ussuri (Indian) bee found up to 12 combs in one nest. The height of some of them was up to 80 cm (31.4”) thickness of honey comb – up to 40 mm (1.6”), and the combs in the brood – 20-28 mm (0.8-1.1”) or more. The distance between two adjacent mediastinal combs is 31-33 mm (1.2-1.3”), width of streets – around 8 mm (0.3”). Indian bee drone brood is sealed with a conical lid with holes on the top of the cone. 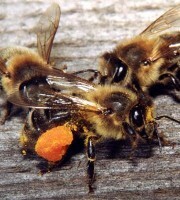 Dorsal abdomen semirings of working bee have yellow color in front, abdominal (sternites) – pale. Chitin of drones is black. 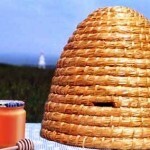 In India, China and Japan Indian bee hives are the non-separable and with frameworks. 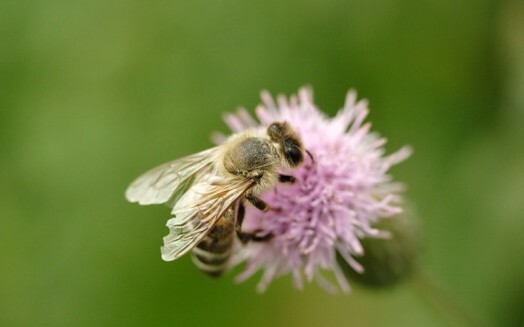 In natural hives of Indian bee in the Far East were found up to 44 or more pounds of honey. 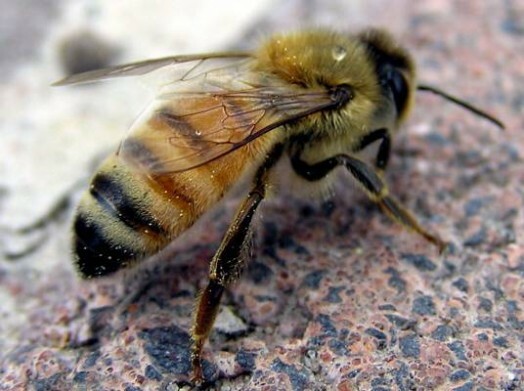 These bees have lived near Moscow (Russia) for two seasons (1947-1949), showed great resistance against low temperatures (ability to fly below 0 (32 F) and fly at 4-5 °C (39-41 F). 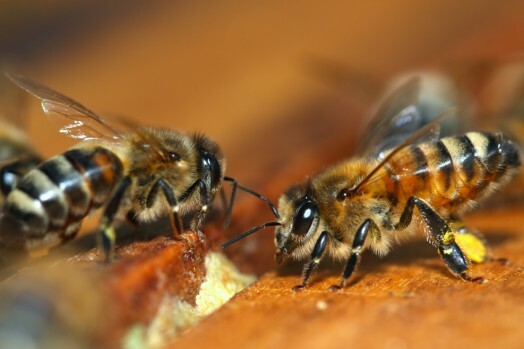 However, because of the propensity for leaving the hive (fly off) and the inability to bring up the sinus queens their keeping in frame hives is far more difficult than the honey bee. Apis mellifica L. or the honey bee. It is this type has the highest economic value. 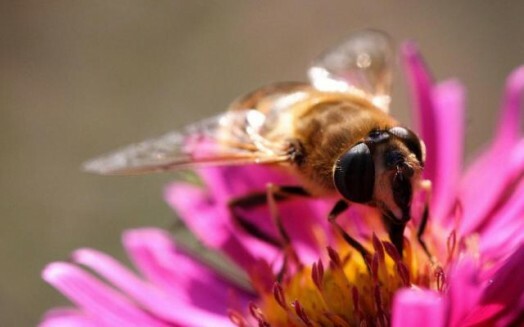 In contrast to all other insects, these bees are well developed and well organized, they are able to adapt to different climatic conditions and quietly do their work – pollinate the flowers, collect nectar to make honey. They appeared as a species in India, it was a long time ago. After that, the bees moved to Africa and Europe, even later in America. In Australia this kind of insects is only a half century ago. 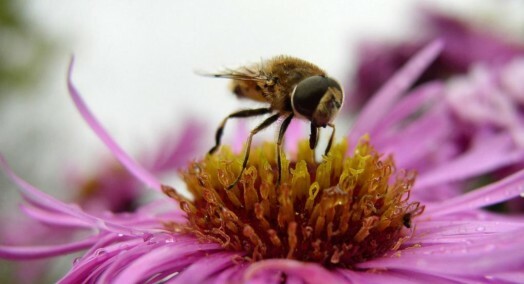 In Siberia thermophilic bees got in the early 19th century, and that it may be noted are quite well accustomed. 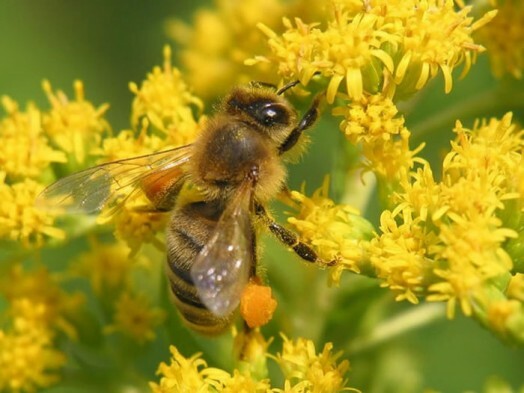 Bees are very industrious creatures – a family of bees can prepare for a day a few tens of pounds of feed. 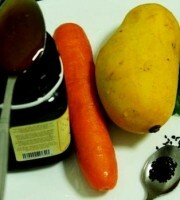 As for the honey, the strong family can bring to the owner more than 300 kilograms (661 pounds) of honey per year. You wonder how many bees are in the bee family ? Plain ordinary bee colony consists of 20-80 thousand workers bees, a queen and a hundred drones. 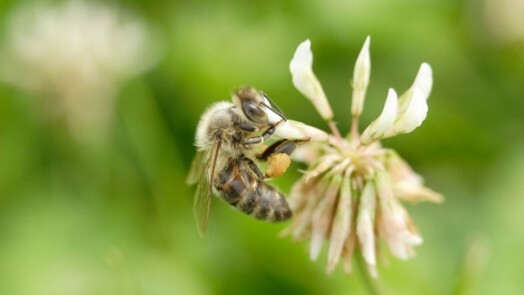 Life of bees is a solid working weekdays, knowingly family consists only of working bees. 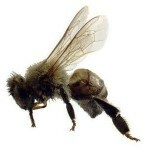 Major role in the bee family queen plays – without her family is not able to reproduce and live. 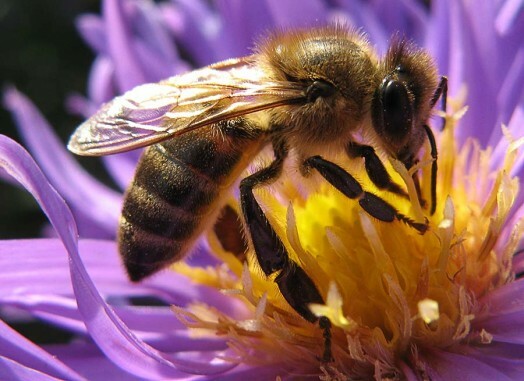 In summer bee colony is supplemented with males – the drones which spend with relatives one season and then die. I love these pictures. So lovely..